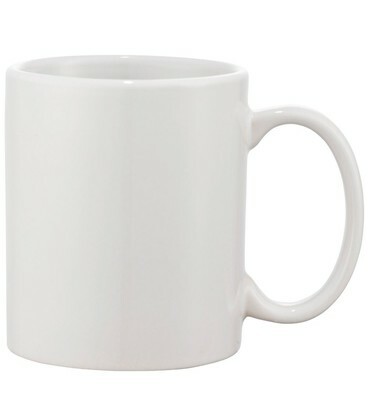 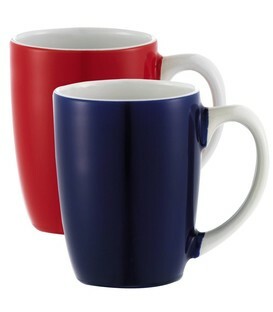 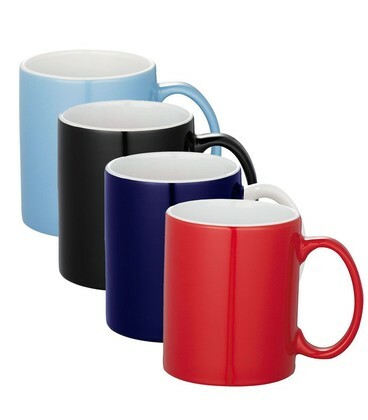 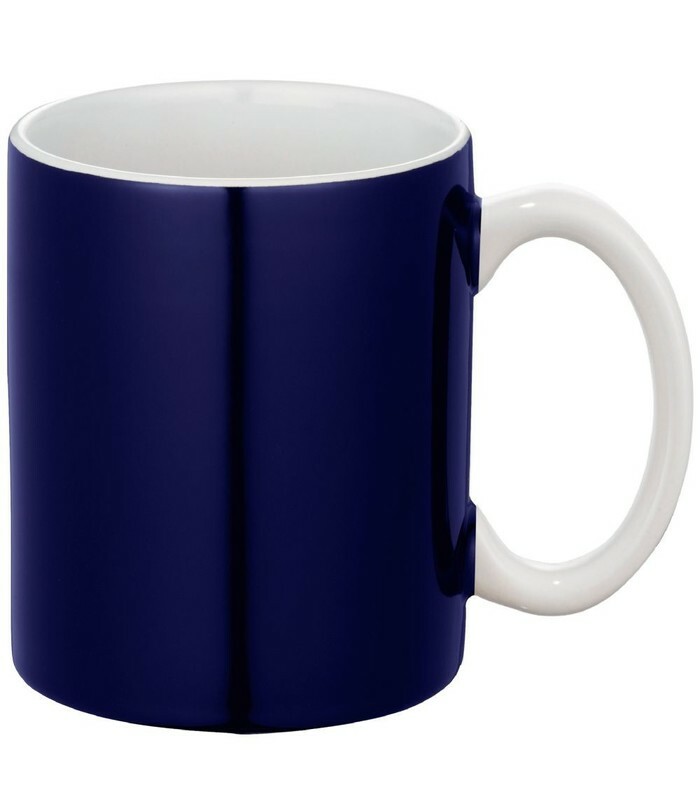 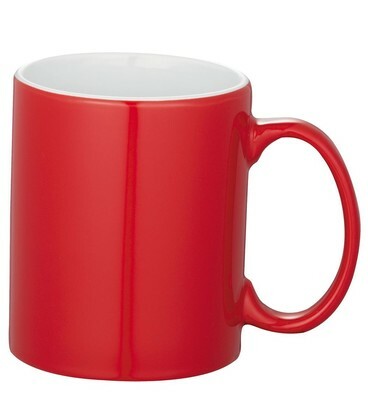 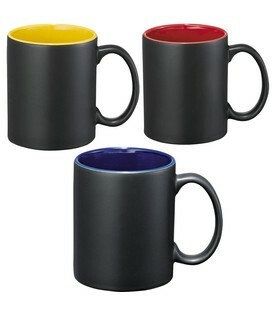 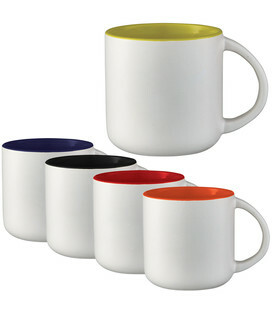 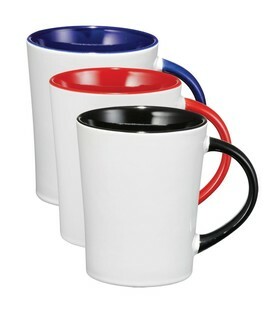 Standard mug with white lining, external black glossy finish and black coloured handle. 325ml capacity. Orders in multiples of carton quantity (24) only. Available in 5 colours. 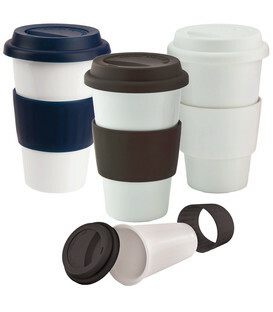 Packaging Bulk with protective cardboard spacers.